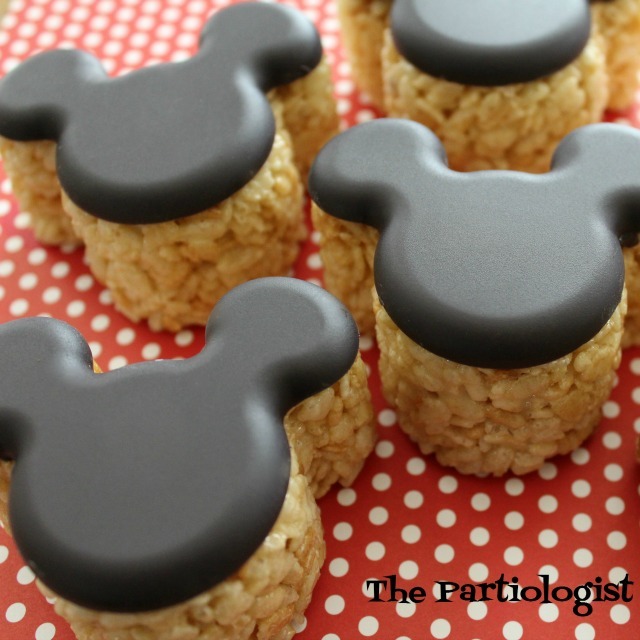 The Partiologist: Mickey Mouse Rice Krispie Treats! 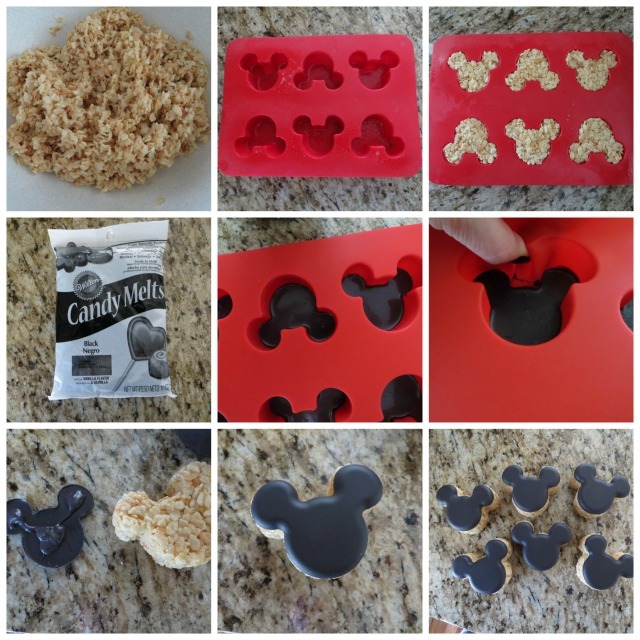 Mickey Mouse Rice Krispie Treats! Could it be...Another Disney Party? Yes, you are correct. This time my younger sister is going to Disney World and to make it even more special, I hosted a send off Breakfast for them on their way to the airport. 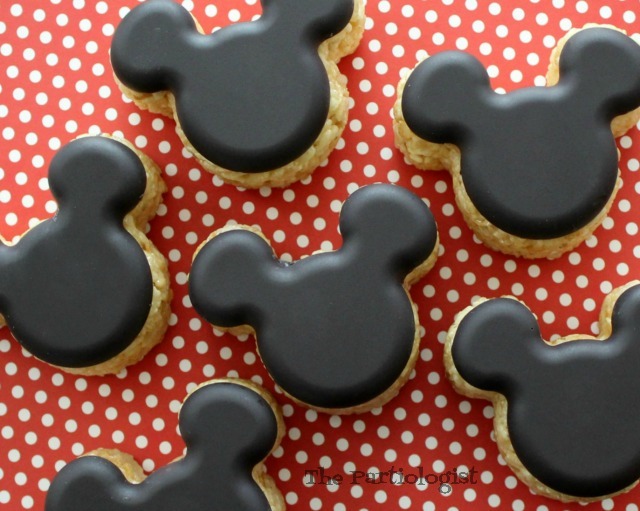 Besides serving breakfast, I had treats packaged and ready to take to the Magic Kingdom. This was one of my favorite. Have you seen a Rice Krispie Treat so magical? Topped with chocolate mouse ears. So easy, you get a fast pass. I really should consider writing a Disney Blog, right? I bet you wish I was your sister, right? It's the perfect send off to Disney World. In case you want to make these for your own party, here's how. Start by mixing a batch of RKT. Next, spray a silicone Mickey Mouse mold with Pam. Press the RKT into each mold. To keep the mixture from sticking to your fingers, run them under water. Let the RKT set until firm and remove from mold. 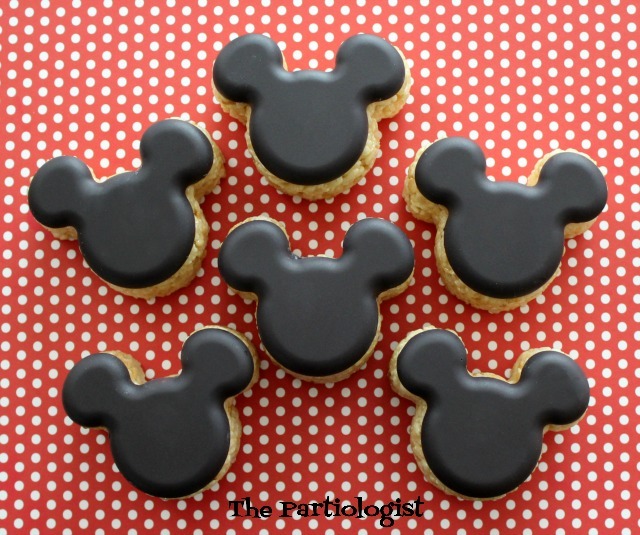 Now it's time to melt the Wilton black candy melts and pour a little in the bottom of each Mickey Mouse cavity. Place in frig (or freezer if you're inpatient like me) to harden. Once the candy melts are set, gently pull the sides of the silicone mold away from the chocolate. Remove the chocolate from the mold and add more melted chocolate to the back and stick to the top of the RKT. 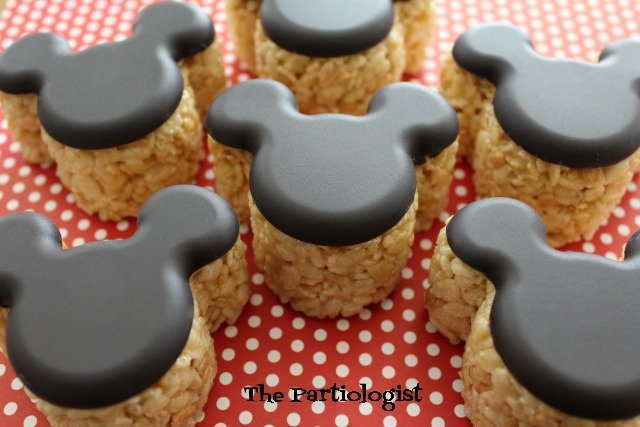 Rice Krispie Treats... More than Magical! Thank you so much, I can’t wait to show you more!